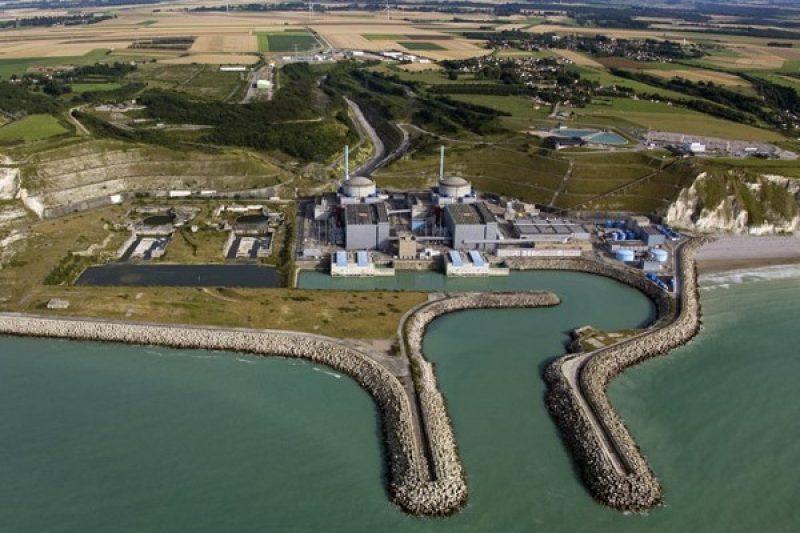 Nuclear Reactor in Normandy "Safe", according to EDF. France is the country in the EU that depends most on nuclear energy for its electricity needs. At the last count in 2011, there was a total of 58 operating nuclear reactors in the country, situated in 19 nuclear power plants. 12:20 – An alarm is raised in the power plant after smoke is emitted. Flames are seen emanating from two parts of the interior of the reactor building. The Nuclear Safety Authority ASN (Autorité de Sûreté Nucléaire) is informed of the incident, along with the police authorities and the local information authoroty CLI. 13:15 – Firemen enter the reactor building of Production Unit “. They note that puddles of oil about 10cm2 in size are on fire. An oil leak is coming from one of four pumps that run the primary cooling circuit – the one that goes through the reactor core. EDF (Electricité de France) seeks to reassure through a spokesman who says that “There are no injuries and the nuclear installations are secured.” The spokesman says that the fire “Which was not serious” was brought under control quickly. Flames were extinguished “with the help of extinguishers”, says Laurent Lacroix, delegated director of the site. 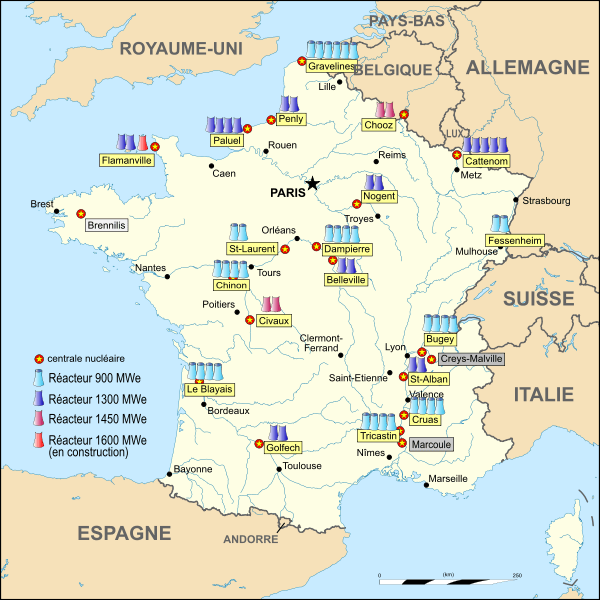 16:45 – EDF announces that the reactor at the Penly Nuclear Power Plant has stopped and that it “continues to be cooled downed normally.” The decommissioning of the pump automatically precipitated the shut-down of the reactor, the cooling down of which is taken over by three other pumps. 19:30 – An EDF statement says that a water leak with an “above normal” level of radioactivity has occurred. A faulty joint on one of the pumps is what has caused the unusual water leak. The leak is confined within the cooling circuit, thanks to other joints. The radioactive liquid is then “collected in pre-designated reservoirs”. Interviewed during the night, ASN director-general Jean-Christophe Niel says that the water leak, which was at a rate of 2,300 litres/hour during the earlier part of the evening, was no more than 66 litres/hour during the night; a level which is below the recommended maximum during the normal course of the functioning of the primary circuit. During the evening, the ASN mobilises its emergency centre in Paris. An emergency squad of about ten people is put into place on site to monitor the situation, linking up with the IRSN (Institut de Radioprotection et de Sûreté Nucélaire/ Institute for Radio-protection and Nuclear Safety) to keep the media informed. 00:30 – The ASN classifies the incident as a “Level 1” on the INES (International Nuclear Event Scale), which goes from 1 (an anomaly) to 7 (major incident). According to the ASN, EDF applied the correct “incident behaviour procedures.” The emergency operation is stepped down. 05:15 – EDF disbands its internal mobilisation plan. During the day, the Caen division of the ASN carries out an inspection on the power plant to analyse in greater detail the causes of the incident. Among the theories advanced is that one of either a maintenance problem on the pump or the non-conformity of the oil used. “Between the fire incident caused by the oil and the problem of the leaking joint, we don’t know which is the chicken and which is the egg. It will be up to the inquiry to determined that,” says Thierry Charles, security chief of the IRSN. Meanwhile, the ASN has asked EDF to keep the reactor shut down and to proceed with an expert analysis of the pump. The restart of the reactor cannot take place until after the conclusions of the technical analysis have been reached by the ASN, in conjunction with its technical support at the IRSN. Next Next post: Travel: Paris – Something for the Weekend?